Disney(NEW YORK) — Ava DuVernay joins A Wrinkle in Time stars Oprah Winfrey and Storm Reid on the cover of Essence‘s February issue. In the cover story, DuVernay talks about being approached to direct the fantasy film. In the film, Reid plays Meg Murry, a young girl who sets out to find her missing father with the help of three magical celestial beings, played by Oprah Winfrey, Reese Witherspoon, and Mindy Kaling. According to Oprah, watching 14-year-old Reid on set has been a surreal experience. “Sometimes I’d be watching her…and would really tear up at her performance because she will become for this generation what Judy Garland’s Dorothy in The Wizard of Oz was for previous generations,” she tells the magazine. 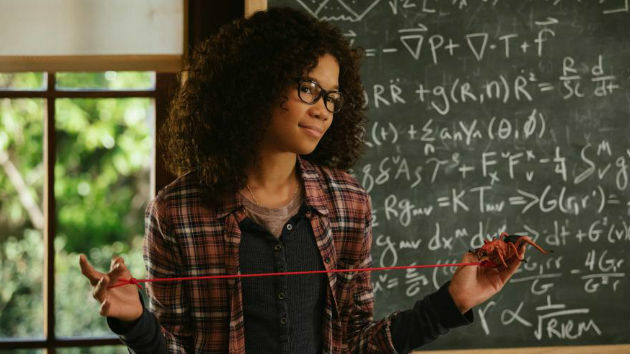 A Wrinkle In Time opens in theaters March 9. Essence’s February issue hits newsstands today.